TOP Year 2023 . 5 Mins Walk to MRT . Here is a review of the Midwood condo, a new residential development at Hillview Rise within 5 minutes walk from Hillview MRT station on the Downtown Line. 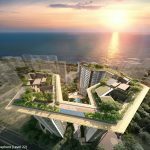 It is being developed by Hong Leong Holdings, a brand name and one of the most trusted real estate developers in Singapore. Note: This is NOT an advertisement for sale. Project is pending approval from authorities. The Midwood site is just behind HillV2, in the exclusively private residential part of Hillview. The surrounding comprises a mix of low-rise landed housing and mid-rise condominium projects. However not many of them are within a 5 minute walk radius to Hillview MRT station; most are further away. The Midwoods condo happens to be one of the few on the limited real estate near the station. This estate comes across as a calm soothing environment with lots of greenery, ringed as it is by nature reserves and parks. 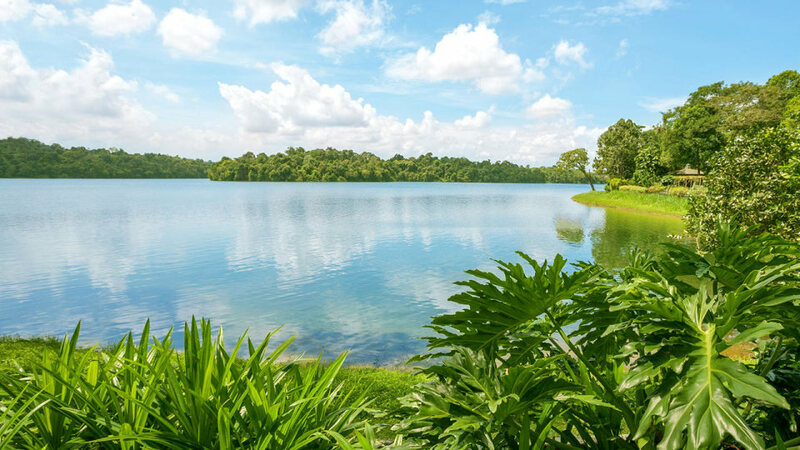 Starting from Bukit Gombak’s “Little Guilin”, across to Bukit Batok Nature Park, and round to the Bukit Timah Nature Reserve and Dairy Farm Nature Park, against the backdrop of the Upper Pierce Reservoir. HillV2 itself, beside the Midwood condo, is a relatively new upmarket retail mall offering two levels of lifestyle choices and gourmet delights. Together with the Rail Mall, this has become a favourite watering hole and meeting point to hang out at, for families and urbanites in the prime Upper Bukit Timah area. The Midwood will comprise 564 apartments in two residential towers, soaring 29 storeys high. 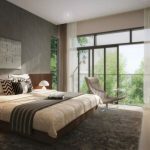 At those heights residents will have views over the surrounding greenery, from the hillocks of Bukit Gombak to the north and west, over the landed housing estates to the south, and round to Bukit Timah hill and the tree canopies and reservoirs of Upper Pierce. Hence homes around the Midwood location are popular with people who enjoy a more laid back lifestyle. Here one can escape from the crowd, away from the frenetic pace of city living, into an oasis of greenery and calm. It is quite common to see residents walking their dogs around the estate, or taking an evening stroll, sometimes on the way back from a leisurely meal or drink at HillV2. Little wonder then, that this place is popular with expats too. The Midwood residences should attract outdoor and nature lovers, located as it is in the neighbourhood of these nature parks and reserves. 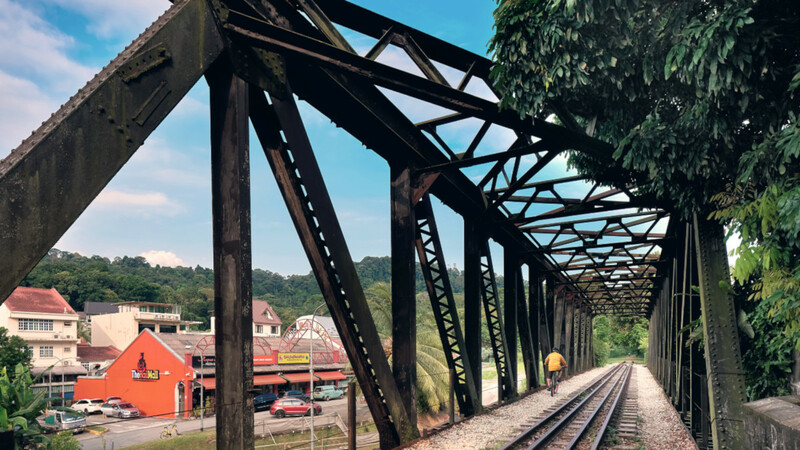 On weekends, there are hiking trails to be explored in the surrounding reserves, or Bukit Timah hill to be climbed for those feeling more energetic. To recharge amidst the fresh air and green trees, or simply to get the kids’ noses out of their devices to explore the real world around them. And come home to a well-earned meal with family at HillV2 next door to the Midwood, or catch up with friends over coffee at Starbucks or ice-cream at the creamery. HillV2 also offers fine dining places with a curated selection of F&B outlets, bistros as well as retail shops and salons, and a supermarket, the Hillview Market Place. There is also the Wine Connection Bistro for wine connoisseurs, and famed New York gourmet grocer Dean & DeLuca. The Midwood condo floor plans are not finalised yet. Kindly drop us your contact via the Form if you would like us to email you the Midwood floor plans once available. The Midwood Singapore site is a roughly rectangular parcel of land off Hillview Rise just behind HillV2. This is part of the private Hillview residential estate, comprising a mix of condominiums along Hillview Avenue, and the Hillview Garden landed housing estate off Elizabeth Drive to Hillview Crescent. The site itself runs in a mainly north-south orientation, slightly tilted to the north-north-east. To the north of the site is Kingsford Hillview Peak. HillV2 sits immediately east of the site. On the other two sides are empty land right now, but zoned for future residential. Hence for now, units facing west and south will get unblocked greenery views. In future, there will still be pockets of open spaces, and high floor residents should enjoy views to the nature reserves. The project is elevated. Residential apartments will start from the 2nd floor, up to the 29th floor. View of the actual site from Hillview Rise in front of Kingsford Hillview Peak. The Midwood condo site is 5 minutes walk from Hillview MRT station, according to Google map. The Midwood condo showflat is not ready yet. Kindly drop your contact details in the Form below if you wish to be notified on the showflat Preview schedule. Floor areas stated includes any Voids, Patios, Balconies, Terraces, A/C Ledges. The Midwood condo pricing has not been determined yet. Just let us know via the Contact Form if you wish to be updated on the pricing when available. The Midwood site covers an area of 153,886 sq ft. Under the URA Master Plan, it is zoned residential with 2.8 plot ratio. This works out to allowable gross floor area of 430,880 sq ft. Given the SGD$460 million that Hong Leong Holdings paid for this land parcel, it equates to a land rate of about $1,067 per sq ft per plot ratio (PSF PPR). This could mean a break even cost of around $1,600 PSF PPR, after taking into account development and construction, marketing and financing, and overhead costs. The actual selling price would then depend on the margin above that. 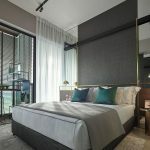 The Midwood Singapore is being developed by Intrepid Investments and Garden Estates, fully-owned units of Hong Leong Holdings Limited and sister company Hong Realty respectively. Hong Leong Holdings was established in 1968 as the property investment and development arm of the Hong Leong Group. One of the earliest movers in the local real estate scene, it has since grown to become a major property player. Along the way it has earned a reputation as one of the most respected and trusted providers of homes in Singapore. 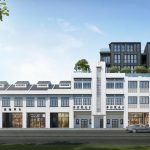 Hong Leong Holdings manages 8 commercial projects currently, and developed some 100 residential projects spanning the mid to high-end range, including in some of the island’s most valued neighbourhoods. 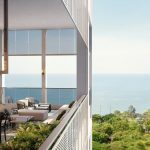 Among the many such projects that have sold out are One Balmoral off Orchard Road, Aalto and The MeyeRise at Meyer Road, Devonshire Court, St. Regis Residences and Grange Heights in the Orchard Road area, and Commonwealth Towers in Queenstown. Going forward, it intends to improve and extend its business, while continuing to maintain the quality of work that it is known for. The Hong Leong Group is one of Singapore’s largest business conglomerates. It is involved in a number of business areas in the Asia-Pacific, North America and Europe. The Group’s 5 core business areas are property development and investment, hotel management and ownership, trade & industry, financial services, and e-Business. On the property front, the Group is recognised as a key contributor to the local real estate scene. 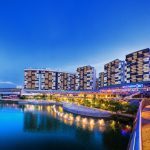 Through its two property arms, Hong Leong Holdings and SGX-listed City Developments Limited (CDL), it holds the biggest residential land bank in Singapore outside of the government. So it is hardly surprising that the Group should rank as our largest developer of residential projects. Location. 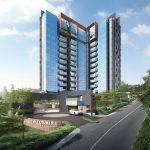 The Midwood condo location is in the private neighbourhood of Hillview Estate, in the Upper Bukit Timah Road area that is close to Bukit Timah Hill and Nature Reserve. This is an established residential enclave composed of a mix of mid-rise apartments and condominiums and low-rise landed houses along tree-lined roads. There is a quiet and laid back feel to the estate that is soothing, perhaps because of the greenery and low-rise nature of the area. Shops, Services, F&B, Supermarkets. The upmarket HillV2 mall next door, with a number of coffee joints, bistros, cafes and restaurants, is a popular hang-out for residents from the surrounding. With its spaciousness and open design, it exudes a relaxed vibe in keeping with its neighbourhood. 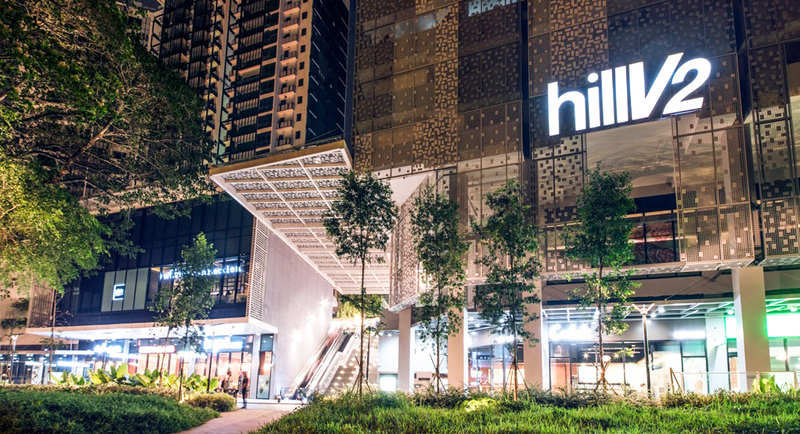 HillV2 is not a very big mall, but it has pretty much what is needed in the way of services and eating out. There are fine dining options ranging from Italian, to Japanese, Korean, Chinese, and local cuisine. There are a couple of bistros and ice-cream creameries, and a Starbucks outlet, great for hanging out at with friends. And for groceries and other basic stuff, we have Hillview Market Place supermarket, as well as a clinic and dentist, hair and beauty salons, a pet shop, a florist, and even a tuition centre for the kids. 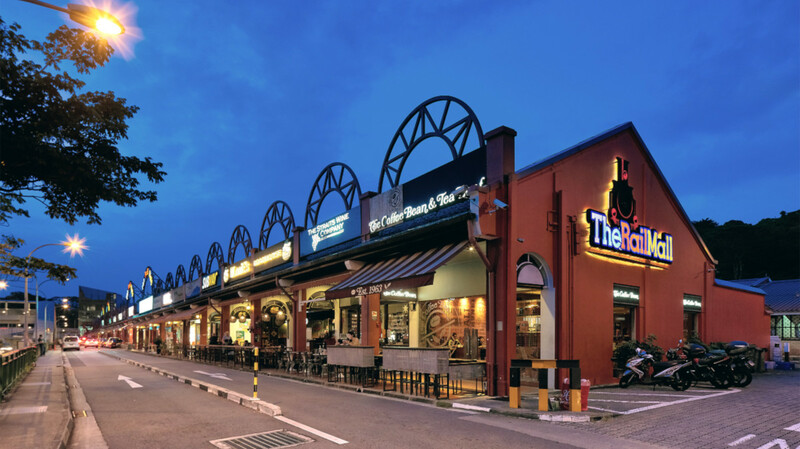 And for variety, check out the Instagram-worthy Rail Mall across Bukit Timah Road. Here you can find more local fare including a prata place, in a more colourful setting. Leisure / Outdoor Activities. The nature reserves and parks around the Midwood location hopefully encourages a healthier lifestyle, with its cycling and walking trails. Just having all that greenery makes for a more relaxed setting, besides fresher air. Air temperatures around the central catchment area in Singapore have been found to be a good 2 degrees lower than in more built up environs. Even if strenuous exercise is not your thing, this is still a pleasant neighbourhood conducive to leisurely after-dinner strolls or walking the dog. Nearest MRT Station. The Midwood condo location is roughly 400m, or 5 minutes walk, from Hillview station on the Downtown MRT Line. This line goes down Bukit Timah, past Botanic Gardens, Newton, and Marina Bay, before turning around to Chinatown and on east to Bedok and Tampines. Schools & Tertiary Institutions. The line also runs through the Bukit Timah education belt, along which are found a number of highly rated schools like Raffles Girls, Methodist Girls, Nanyang Girls High, Hwa Chong Institution, the National Junior College, NUS (Bukit Timah Campus), Singapore Chinese Girls’ and Anglo-Chinese (Barker Road) schools. Accessibility. From the Midwood location, a 5-minute drive up Hillview Road and across to Dairy Farm Road, will take you to the Bukit Timah Expressway. That leads to either the (SLE) Seletar Expressway or Causeway northwards, or south to the Pan-Island Expressway (PIE).